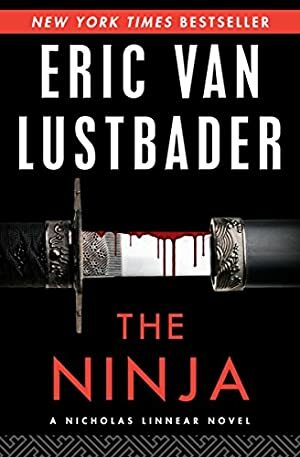 In this New York Times-bestselling thriller, a martial artist's past returns to haunt him -- in the form of a murderous ninja. Raised in Japan by a British father and a Chinese mother, young Nicholas Linnear felt at home only in the dojo, where he gave himself over to mastering ninjutsu -- the ancient art of the ninja. Over years of training, he ascended to the highest ranks imaginable -- until a confrontation over the very meaning of ninjutsu changed his approach to martial arts forever, sending him on a journey that would take him across the globe. Now, after years of success in the advertising business, Linnear quits his job abruptly when he feels himself yearning for the life he led in Japan. Searching for direction, he meets a striking beauty named Justine, but just as he is beginning to fall in love, something chilling draws him back into his past: the corpse of a coworker, murdered by a Japanese throwing star. There is a ninja loose in New York City, and as the body count rises, it becomes clear that people close to Linnear are being targeted. Only he has the skill to stop a twisted killer with a personal vendetta. The first in a riveting series by the #1 New York Times-bestselling author who currently writes the Jason Bourne novels, this is "as gripping a tale of hatred and revenge as you will read... Superb" (News & Record). Track It. This book reaches $1.99 about 4 times a year. Log In to track Eric Van Lustbader on eReaderIQ. to be notified each time the price drops on any book by Eric Van Lustbader. to stop tracking Eric Van Lustbader. We started tracking this book on April 1, 2014. This book was $6.39 when we started tracking it. The price of this book has changed 99 times in the past 1,848 days. The current price of this book is $8.99 last checked one day ago. The lowest price to date was $1.99 last reached on March 15, 2019. This book has been $1.99 24 times since we started tracking it. The highest price to date was $11.99 last reached on May 5, 2018. This book has been $11.99 one time since we started tracking it. We last verified the price of this book about one day ago. At that time, the price was $8.99. This price is subject to change. The price displayed on the Amazon.com website at the time of purchase is the price you will pay for this book. Please confirm the price before making any purchases.